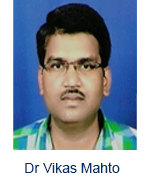 Dr Vikas Mahto is an Associate Professor in the Petroleum Engineering Department of Indian School of Mines Dhanbad, India. He received his Ph.D. Degree in Petroleum Engineering from Indian School of Mines Dhanbad in 2004. Then, he worked as a Teaching Faculty (Lecturer, Assistant Professor and Associate Professor) in the same Institute for 10 Years. He is having 10 Years of Experience in the field of Chemical and Petroleum Engineering. His Area of Expertise includes Rheology of complex fluids, Chemical Process Modeling and Simulation, Application of nanoparticles and nanofluids in different oilfield operations, Water Shut- off Jobs, EOR Techniques and Flow Assurance Problems in the oilfields. 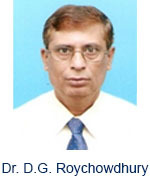 He is the author of more than 65 technical papers in different national/international journals & conferences of repute. He has completed three research projects sponsored by UGC-ISM, UGC New Delhi and CSIR New Delhi and currently working on collaborative R&D project with Oil India Ltd, Duliajan, Assam. He is the reviewer and member of editorial boards of many national and international journals. 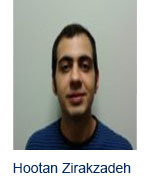 Hootan Zirakzadeh is a senior researcher in the fields of Thermal-Fluid Sciences and Design Engineering at Texas A&M University. His research and engineering interests are focused on Design Engineering, Heat Transfer, Fluid Mechanics, Nano-Fluids, Cooling of Electronic Devices, Aerodynamics, Turbo-Machinery, Gas Turbine Blade Cooling, Jet Engines, Heat Sinks, Heat Exchangers, CFD, and FEA. His published several have been ranked on the Top 25 Hottest articles of Elsevier. He also has served as a lecturer of different courses at Texas A&M University and Azad University of Parand. He is a recipient of Graduate Competitive Scholarship Award from Texas A&M University. After years of experience, he has become a trusted reviewer of several Elsevier and ASME journals. He is a member of some of the most remarkable honorary societies of United States such as associate member of Sigma Xi (the scientific research society), professional member of Pi Lambda Theta (the most selective national honor society of educators), and a member of Pi Tau Sigma (national mechanical engineering honor society). Due to his endeavors in the field of Thermal-Fluids, he has been listed as a recognized person in the field on the "Who's Who in Thermal-Fluids" list of researchers. 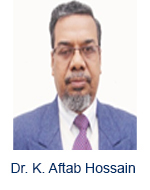 Dr. Khandkar Aftab Hossain is a Professor in the Department of Mechanical Engineering at the Khulna University of Engineering & Technology, Khulna, Bangladesh. She/he received his/her Ph.D.Degree in 1996 from Idian Institute of Technology, Kharagpur, India. Then he worked as a Professor in Khulna University of Engineering & Technology for Eighteen Years. He/she is having Thirty Years of Experience in the field of Fluid Mechanics. Her/his Area of Expertise includes: Computational Fluid Dynamics, Heat Exchanger, External and Internal Fluid Flow etc. Shell Chair Office, Department of Mechanical Engineering, Ahmadu Bello University, Zaria. Water Resources, Engineering Specialist ,National Institute of Technology, Karnataka, Suratkhal. Assistant Professor, Department of Chemical Engineering, National Institute Technology, Agartala, India. Principal Scientist, Design & Engineering Division, Indian Institute of Chemical Technology, Hyderabad, India. Assistant Professor, Indian Institute of Technology, Bombay. Associate Professor, Thermal Engineering, Department of Mechanical Engineering, Indian Institute of Technology,Banaras Hindu University(IIT-BHU) Varanasi, India. Assistant Professor, Department of Mechanical Engineering, Indian Institute of Technology, Madras. Professor, National Institute of Technology, Durgapur, India. Director, School of Petroleum Technology, Pandit Deendayal Petroleum University, Raisan, India. Chemical Engineering, Department Institute of Technology, Nirma University, India. Principal,Jay Shriram Group of Institutions, Tirupur, TamilNadu, India. Department of Mechanical Engineering, Marathwada Institute of Technology, Aurangabad,Maharashtra, India.